Thomas G. Brown has been on the faculty of the Institute of Optics since July of 1987, and has held the rank of full professor since March of 2008. Professor Brown is a Fellow of the Optical Society of America, is former President of the Rochester Local Chapter of the Optical Society of America, and has served as Chair of the Polarization Engineering technical group of the OSA. In 2006, he was invited to spend three months at the University of Sydney as the Denison Distinguished Visiting Professor. In 2010, he was named honorary member of the Rochester local chapter of the Optical Society, the oldest such chapter in the USA. In other recent activities he was the founding director of the Robert E. Hopkins Center for Optical Design and Engineering, the architect of the Optical Engineering Curriculum at the Institute of Optics, served as a program co-chair for the centennial program of the Optical Society of America. He was foundational in establishing the plans for the Test, Assembly and Packaging program within AIM Photonics and currently serves and the academic co-lead for Test, Assembly and Packaging within AIM Photonics. Professor Brown began his work in optics and optoelectronics in 1978 as an optical fiber systems designer at GTE Laboratories. While there, he wrote the systems modeling software which was used to design the first live-traffic 1.3 µm optical fiber telephone link. Since that time, he has had consultancies and technical collaboration with companies such as IBM, Corning Inc., ABB Kent-Taylor, Amp, Rockwell, Rochester Gas and Electric, and Emerson Corporation, along with several law firms and many of the Industrial Associates of the Institute of Optics. His doctoral dissertation, carried out at the Institute of Optics under the supervision of Professor Dennis Hall, was in the area of silicon-based optoelectronics/photonics with particular emphasis on mechanisms for extrinsic light emission in silicon. Since joining the Institute faculty in 1987, Professor Brown has taught on both the Graduate and Undergraduate levels, established an Undergraduate Honors Research Program, and for ten years served as Undergraduate Chair, managing an optics undergraduate program of approximately 80 students. During that period he established the Hopkins Center for Optical Design and Engineering, a program whose charter was to provide advanced laboratory support for a new optical engineering curriculum in Rochester. He received a College of Engineering award for excellence in undergraduate teaching in 1994 and a Goergen award, the most prestigious undergraduate teaching award offered by the University of Rochester. His professional affiliations have included the Optical Society of America, SPIE, the Materials Research Society, and the American Physical Society. He has served as referee for numerous professional journals, and has served on the Technical Program Committee for the Conference on Lasers and Electro-Optics, Photonics West, Optics and Photonics (the annual meeting of SPIE), Opto-Northeast, and Frontiers in Optics (the annual meeting of the OSA); he has just completed a term on the editorial board for the web-based OSA journal Optics Express. He has authored over 80 publications, 10 patents, 3 book chapters, was an editor for the four-volume Optics Encyclopedia, and served as co-contributor of articles entitled Light and Polarized Light for the 2008 edition of the World Book Encyclopedia. Professor Brown is frequently asked to provide expert consulting in a wide range of areas in optical systems, photonics, and the application of light based technologies to a wide range of manufacturing applications, including emerging areas of photonics. While at Rochester, he has conducted research in detectors and optical communications, semiconductor optoelectronics, optical fiber microstructures, optical polarization, and optical metrology. His early research focused on frequency-stable semiconductor laser design and silicon-based waveguide technology, including the first experimental observation of all-optical switching in a nonlinear Bragg reflector. 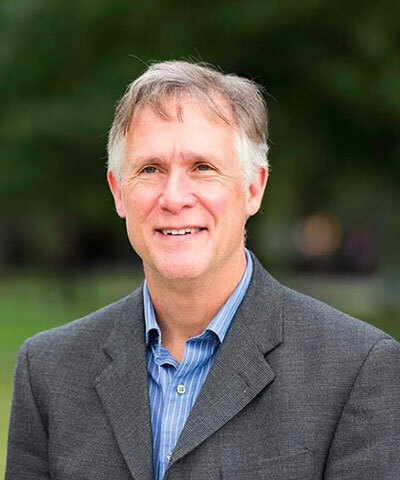 Professor Brown's recent research activities have included: 1) Focusing and coherence properties of polarization vortex beams; 2) Stress-engineered optical elements; 3) Polarization properties of nanostructures; 4) Waveguide mode resonances in SOI waveguides. The work on polarization vortices has been applied to semiconductor lithography and inspection, and single molecule imaging [PRL 86, 5251 (2001)]. Professor Brown and colleagues have recently introduced the idea of a full Poincare beam, a fully correlated beam that contains every possible polarization state. His most cited work was published in 2000 (Optics Express) in which he coined the term ‘Cylindrical Vector Beam’ in analyzing the tight focusing properties of Radial and Azimuthally polarized beams. The paper was recently named in the top ten (#6) most cited papers on the occasion of the 25th anniversary of Optics Express.